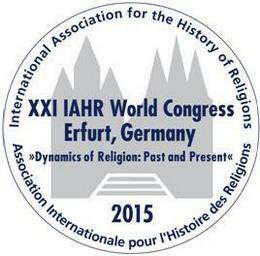 The International Association for the History of Religions invites contributions from all disciplines of religious studies and related fields of research to allow for broad, interdisciplinary discussion of the Congress topic to register their panels for the XXI World Congress of the IAHR. Panels should address one of the four thematic Congress areas: (1) Religious communities in society: Adaptation and transformation; (2) Practices and discourses: Innovation and tradition; (3) The individual: Religiosity, spiritualities and individualization; and (4) Methodology: Representations and interpretations. Each panel lasts two hours. Panel papers should be limited to 20 to 30 minutes, depending on the number of panel participants. Panel conveners are asked to approach possible participants from different nations to reflect the scope and internationality of the IAHR Congress. To propose a panel, please submit a general proposal of the panel as well as individual proposals of all papers included in the panel. Both panel and papers of a proposed panel will be evaluated by the Academic Program Committee to ensure a high academic standard of the Congress program. We therefore ask panel conveners to submit the proposals of all prospective panel participants of a proposed panel as indicated by the submission form. Proposals of panels and of papers should not exceed 150 words. The deadline for submission of proposals is Sunday, September 14, 2014. All proposals must be submitted electronically via the IAHR 2015 website. This site will be available for submissions from Sunday, September 1, 2013 through Sunday, September 14, 2014. As part of the submission process, you will be asked to indicate the area in which you would like your proposal considered. Your proposal will then be forwarded to the appropriate member of the Academic Program Committee. You will receive notice concerning the status of your proposal as soon as possible and certainly before March 1, 2015. If your panel or paper has been accepted by the Academic Program Committee, please note that you will have to register as a Congress participant before May 15, 2015 to be included in the Congress program. This entry was posted in Academy, Announcements, Call for papers and tagged Conference announcement, IAHR, International Association for the History of Religions, Religion, religious studies, scholarship. Bookmark the permalink.